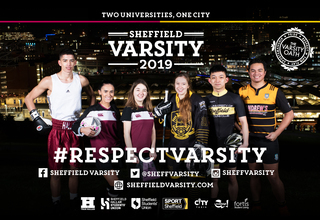 Sheffield Varsity tickets will be on sale from the 8th of February. The Football opening event at Hillsborough, Boxing and Sports Park Day tickets will all be released on this date. Tickets for the Ice Hockey 2’s at IceSheffield and Ice Hockey Final at Sheffield Arena will be on sale from the 11th of February. You can buy your tickets from the Students' Union Box Office in person from 10am on each release date. Boxing will be capped at 2 tickets per person and Ice Hockey and Football will be capped at five per person. Don’t miss it they will sell out!